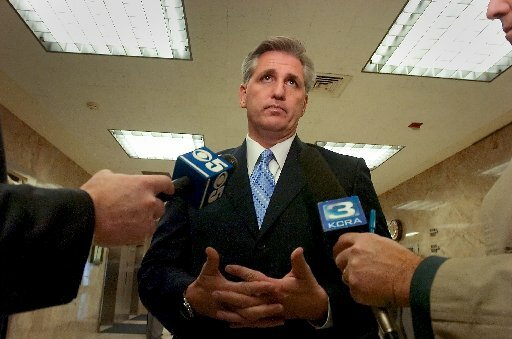 Rep. Kevin McCarthy (R-Bakersfield) gives his weekly update from Capitol Hill. In his words"
"I hope everyone had a wonderful Thanksgiving with their friends and family. President George Washington issued the first national thanksgiving proclamation in 1789 at the request of Congress. During the Civil War, in 1863, President Lincoln set aside the last Thursday in November as day of thanksgiving and called on the country to seek healing and national unity.
" However it was not until 1941, that Congress made the 3rd Thursday of every November a national holiday. I believe it is important that as a nation we continue to use this day as a time to reflect on what we are thankful for not only as a nation, but in our personal lives as well. keeping all bills and resolutions online for all to see and potentially saving over $35 million over 10 years. "Item two: redirect the National Archives to just manage Federal records rather than spending $10 million a year on grants to help state and local governments preserve their records. "Item three: get rid of Federal agency broadcasting facility grant programs that have already finished their work, which could save taxpayers $250 million over ten years. To read more about these and to place your vote online or through text message, please visit: http://republicanwhip.house.gov/YouCut/. honest discussion regarding the high speed rail project before obligating future generations with additional costs and debt. and I hope to see some of you at the 33rd Annual Kern River Valley Christmas Parade in Lake Isabella on Sunday.